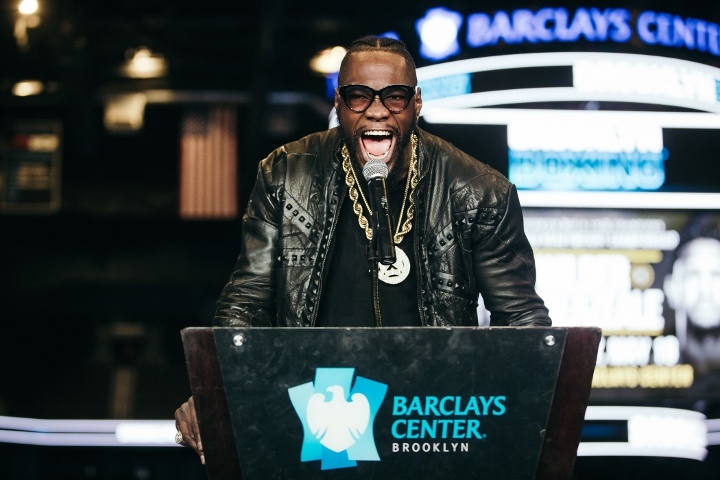 NEW YORK – John Skipper has made DAZN’s run at Deontay Wilder. Bob Arum also has tried to lure the WBC heavyweight champion to ESPN. Now that Wilder has turned down lucrative, multi-fight offers to perform on each of those platforms, Stephen Espinoza hopes Showtime and its competitors can get back to making the biggest fights for Wilder the way Wilder appears most comfortable attempting to do that. Showtime will televise Wilder’s next fight, a mandatory title defense against Dominic Breazeale, on May 18 from Barclays Center in Brooklyn. Wilder isn’t contractually committed to Showtime thereafter, yet Espinoza, Showtime Sports’ president, is confident Wilder’s decisions to turn down DAZN and ESPN have sent messages regarding how Wilder wants to go about making a title unification fight against Anthony Joshua or a rematch with Tyson Fury. Al Haymon, Wilder’s adviser, and Shelly Finkel, Wilder’s co-manager, convinced Wilder that by accepting DAZN’s four-fight, $120 million offer that he ultimately would’ve left money on the table for two fights versus Joshua, the IBF/IBO/WBA/WBO champ. Skipper, DAZN’s executive chairman, offered Wilder $40 million apiece for two fights with Joshua, much more than the $15 million flat fee Eddie Hearn, Joshua’s promoter, offered him last year to box England’s Joshua in the United Kingdom. DAZN offered the knockout artist from Tuscaloosa, Alabama, a $20 million guarantee to battle Breazeale, a figure Espinoza indicated Wilder (40-0-1, 39 KOs) at least will come close to earning for fighting Breazeale (20-1, 18 KOs) on Showtime. “This is his process – seeing what is out there and evaluating it,” Espinoza said. “We certainly don’t begrudge him the opportunity to evaluate all the options. Now, at the end of the day, he looked at the entire range of options – and the advantages and disadvantages to each – and came to the conclusion that he had already had the best arrangement. I think that was combination of factors – the financial opportunities, the visibility, what we’ve achieved so far and the commitment that’s necessary. I think the difficult thing is people told him that they were trying to make these big fights, that they wanted to make a Fury rematch, that they wanted to make a Joshua fight. ← WWE SmackDown Live highlights: Contract signing, Alexa Bliss announcement, more!